Not all storage facilities are created alike. So before you lock yourself into a binding contract, it is a good idea to think about exactly what you want in a storage unit. Here are some questions you need to answer before you start looking. Many storage facilities are working hard to give their renters peace of mind. They are installing 24-hour surveillance cameras, employing security guards during certain time periods, setting up gated entries with unique passcodes, and making sure every part of the grounds are well-lighted. Obviously, a unit with all these perks is going to cost more than a unit without all these security features. So you’ll need to decide, what is most important to you rock-bottom pricing, high-level security or something in between. How Close Is the Storage Unit to My House or Workplace? Depending on what you store, you may or may not need regular or occasional access to your facility. If you do, make sure your unit is near where you live or work. Also, many renters like to check on their things periodically to make sure everything is okay, which is another reason to make sure your storage unit is conveniently located. If you live in an area that experiences extreme weather, you may need a climate-controlled unit. These units are air conditioned and heated. You also need to consider a climate-controlled unit if you’re storing items that are sensitive to hot, cold or even freezing temperatures. Do You Need to Insure Your Storage Unit? Many storage facilities offer you the option to insure the items in your unit from theft and damage. Normally, the coverage adds $5 to $20 to your monthly storage rent. If you already have property insurance, check with your insurer to find out whether or not the property in storage is covered under your current policy. Once you’ve figured out the type of storage unit you need, you’re ready to find the right sized unit. The best way to do this is to try and determine how many rooms of household items you have. You can do this by setting up a room that matches the storage unit’s dimensions. Or you can actually measure and mark off the area of the storage unit in a bigger room. 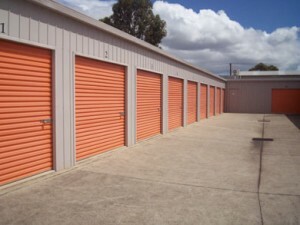 Normally, storage facilities offer spaces that start at 5′ x 5′ and increase to 10′ x 25′. Here is a quick breakdown with the size of the unit and the corresponding number of rooms in a typical house. Once you decide on the features and the size of your unit, it’s time to find the right unit and sign a contract. You can normally contract for month-to-month, six-month or one-year rent. You may get a discount for committing to a longer period of time, but make sure you’re satisfied with the facility if you go for a long-term commitment. If possible, go to the unit and sign the contract in person. Then you will know for sure that the facility meets your expectations. Typically, you’ll need to give a 30-day notice before you move out. 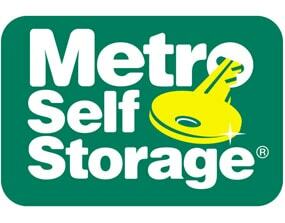 We’ve made it simple and easy for you to find the right storage facility. Simply check out this link to get started.